Treat (don’t trick) your skin this chilly fall season with a handmade, moisturizing and delicious smelling soap with real pumpkin puree. Pumpkin is full of antioxidants and vitamins A and C which can help keep your skin youthful and refreshed! Preparation: Make sure you have all of your ingredients with in reach (I even double checked our recipe on the iPhone Lye Application). 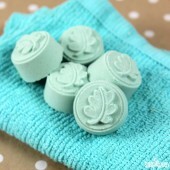 Then line your mold with Freezer Paper (click here for instructions on lining your soap mold). Most importantly review lye safety guidelines. 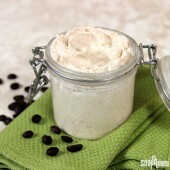 Lye on your skin = flush with water (some soapmaker’s swear by vinegar instead of water). Soap utensils are for soap. Food utensils are for food. Never the twain should meet. 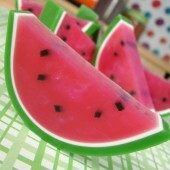 Soap molds need to be either lined with wax paper or be made from a flexible plastic. 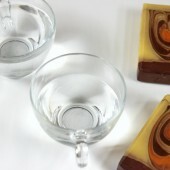 Never make soap in a glass or aluminum mold. 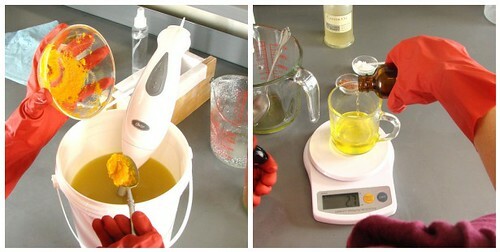 ONE: Weigh and combine your Coconut Oil, Palm Oil, Olive Oil and Caster Oil. 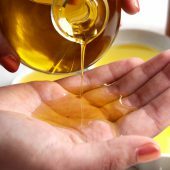 Make sure all of the oils are in liquid form so you might need to melt the coconut and palm oil in the microwave or on the stove. 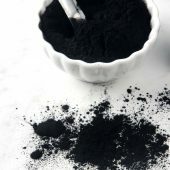 TWO: To make your lye solution, add 7.4 ounces of lye to 15 ounces of distilled water (you can increase the water to 16.5 if you like a slower trace). Remember to always add the lye to the water- never add the water to the lye. Mix the lye water until the cloudiness clears and the temperature cools. 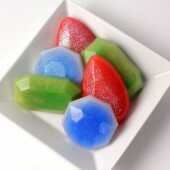 The ideal temperature is between 125 and 135 degrees though some soapers soap all the way down to room temperature lye. I like 125 personally. Notice the water heats all the way up to 191 degrees when combined with the water and lye. Gloves and goggles stay on for the ENTIRE soapmaking process. 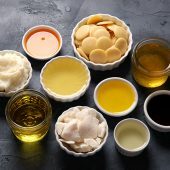 THREE:Once your oils are combined and their temperature stabilized under 135 degrees and your lye water has reached 125-135 degrees, slowly pour the lye water into your oils stirring at all times. 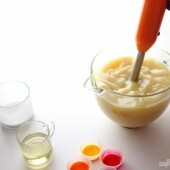 Then stick blend the oil and lye mixture (approximately 2-3 minutes). 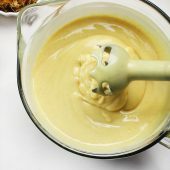 Turn the stick blender on and off, making sure to mix the entire mixture thoroughly (up down, side to side, around and around).FOUR: Once your mixture has reached light *trace, stick blend in 3 oz of pumpkin puree. Then separate the mixture into two different containers- 2/3 in one bowl and 1/3 in the other. *Trace looks like thin pudding where faint trailings of soap stay on the surface of your soap mixture when lightly drizzled from a few inches overhead. 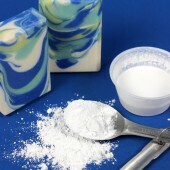 FIVE: Add up to a full Tablespoon of titanium dioxide to the container with 1/3 of the soap and mix with your stick blender. This will keep make a lovely light contrast color. 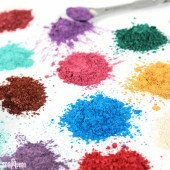 SIX: To the second container, add 1 Tablespoon of Copper Sparkle mica and use a stick blender to mix well. This will make a beautifully dark and rich pumpkin color. SEVEN: Once the Copper Sparkle mica is fully incorporated, stir in 3 oz of Pumpkin Spice Fragrance Oil by hand. 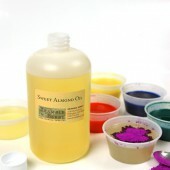 This fragrance slightly accelerates trace so be ready to pour once your fragrance is mixed in. 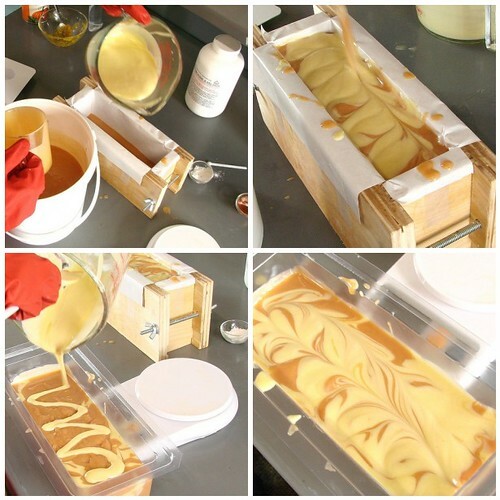 EIGHT: In your mold, pour in 6 ounces of the light colored soap followed by approximately 10 ounces of the darker colored soap. The pours do not have to be exactly 6 or 10 ounces – just eyeball it. 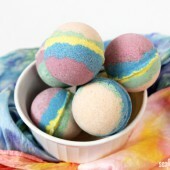 Make sure you pour two layers of each soap base, alternating colors. 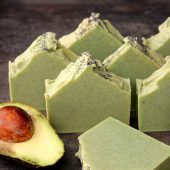 Once your mold is filled to the top, swirl the soap with a spoon, spatula or chopstick. Repeat this step using the clear plastic mold. 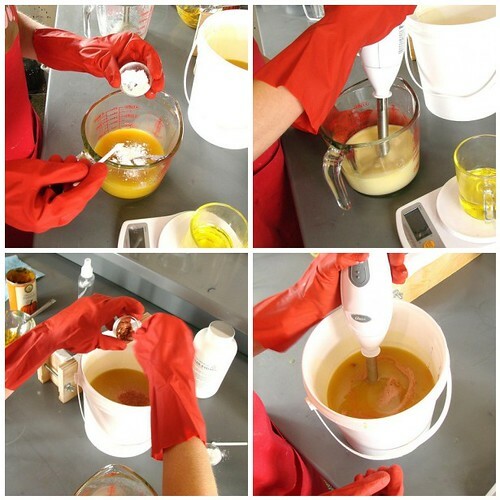 Your gloves and goggles stay on for the entire soapmaking process, even during the swirling part. 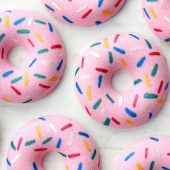 TIP: If you’re using a 5 pound mold, just alternate colors until you’ve filled the mold. Then swirl with a spoon. 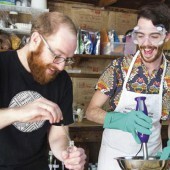 We made this recipe big so we could have fun and play with 2 different molds. When you make this fun fall recipe, pop in and tell us how it goes! 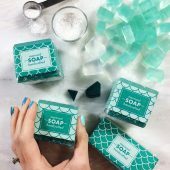 We love the final soap and hope you do too! The info on your pumpkin spice fragrance oil says it will turn dark brown…..how did you keep the pretty pumpkin color? Can you use a vanilla stabilizer with this? Our Pumpkin Puree soap did eventually turn brown from the Pumpkin Spice FO, and because this particular FO doesn’t haven’t any Vanilla notes in it, the Vanilla Color Stabilizer isn’t going to help out. The best way to work with the discoloration of Pumpkin Spice FO is to plan your color scheme around it. i too tried making two batches and both were fails. Do I count the puree as part of the water or seperate? The first time I made this with same ingredients except no mica or FO just Cinnamon leaf EO and I had about a 1/2 in of oil the next day on top. 2nd time I made this it looked like small craters in it. I posted it on a forum and they suggested lye heavy but running it through different calcs they all came out the same. Cinnamon Leaf EO is an essential oil that loves to seize. I never soap with it because of that reason. That might have been the issue. Small craters wouldn’t make me think lye heavy. Small craters makes me think the soap started to seperate out in the mold. I made this soap this morning, the part with the copper mica looked fine, than all of a sudden it looked like it was separating. Since I had started to put layers in the mold and it was getting worse by the second, I just mixed the white and the copper together in the mold, looks sort of lumpy. I put it in the freezer for now, and will take it out in an hour and put int the refrigerator. I followed most of your recipe but added 5 ozs. of Shea and 3 ozs. of castor, and added fragrance to the whole batch. the rest was the same ingredients as you instructions. I ran it though the soapcalc again for the extra ingredients. 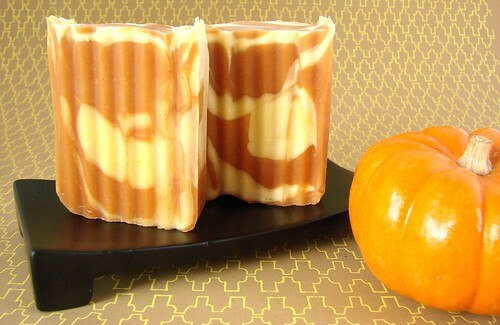 I tried making something similar to this (a Castile soap with the pumpkin puree/FO) and messed up badly, hahah. I think I may have put too much puree into the mix. It never hardened and just ended up being goop in a mold. Would I use, say, 1.5 ounces of the pumpkin puree per pound of soap? We don’t currently have a Pumpkin Spice Essential Oil Blend, but you can try blending a few of these and see if you can come up with something that works for you! how much of the shelf-life of this pumpken puree soap? Similarly to this, can I use any fresh fruits and vegetables? 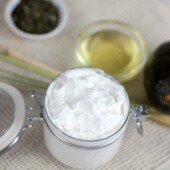 Or I should use such purees from the grocery (with preservatives)? 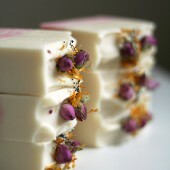 If I use fresh fruit purees what is the shelf-life of the soap? 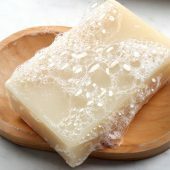 The shelf-life of this particular soap (and most puree soaps) is going to be at least a year, if not more. 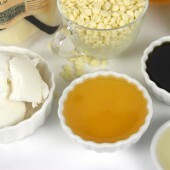 And, if you are wanting to use fresh fruit or vegetable purees in your soap, you don’t usually need a preservative. 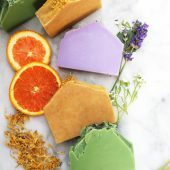 You do not need to use a preservative in your cold process soaps, because the the pH level of your soap will not allow for the growth of bacteria or mold! 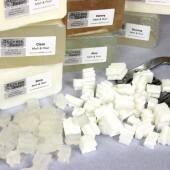 That said, all soap with live product in it can eventually go bad so we don’t recommend a shelf life over one year. I was so excited to try this recipe but, unfortunately, the orange part of the batch curdled and separated. What could I have done wrong? Hi Marie! I’d love to help you troubleshoot this batch. Could you tell me a little more about your recipe, like the type of oils you used and the fragrances? Thanks! I followed the recipe but omitted the Copper Sparkle Mica (since I didn’t have any). I’m thinking I should have cooled the lye and the oils to 120 deg. rather than 125 deg. I am confused. I ran this recipe through the BB lye calculator using both 5% and 6% Superfat. Neither call for using 7.4 oz of lye. With 16.5 oz of liquid, one should be using 7.4 oz of lye. If I follow the recipe at 7.4 oz of lye will the soap be too harsh? 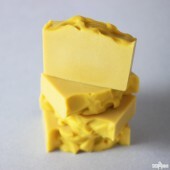 or will 5%superfat be too soft? Also, the recipe calls for adding pumpkin puree at trace but some of the comments say to add to lye to kill anything in the puree that might grow. If I want to sell these would it be better to put in the lye water? correction to above: with 16.5 oz liquid should use 7.188 lye. We did this one at about a 2% superfat to take into account the extra softness and natural oils in the pumpkin puree. You could definitely go higher. And kudos to you for running it through the lye calc. You rock! I love to see that extra care taken with all recipes you don’t create. 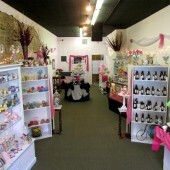 I just love your soaps. 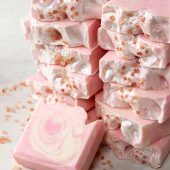 I am going to order the few things I need for this pumpkin soap. Can I use can pumpkin? What did you use? I’m not with Brambleberry, Fran, but I thought I could help. It does appear from the photos that Anne Marie used canned pumpkin. I have a quick question what is the shelf life of the soap with the pumpkin puree. Wont it go bad soon? 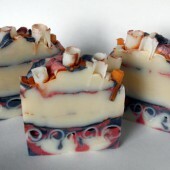 I was wondering if a light pumpkin scent would make it through the soap process without adding any frangrance oils. 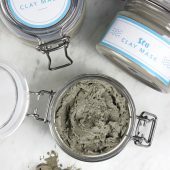 Have you tried it plain yet to find out? Or, do you know where I could find a pumpkin essential oil (if it even exists)? 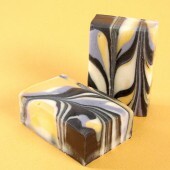 Thank you so much for sharing your beautiful soap. 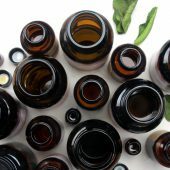 There isn’t actually a true Pumpkin Essential Oil, but you might be able to blend a few different essential oils to get a similar scent, like clove or cinnamon (but be aware that any spice can burn the skin, so be on the watch for that). 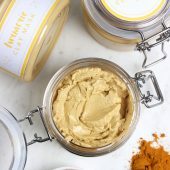 With the actually pumpkin puree, the scent doesn’t come through as a pumpkin fragrance, but it is a very nice, warm and comforting scent. I was looking over this recipe to increase the size and it looks like the lye was calculated at 2% and not 5%. I was just wondering why it was that this recipe was done at that high of a lye discount since most other recipes are done at 5%. I have loads of pumpkin frozen from the fall. 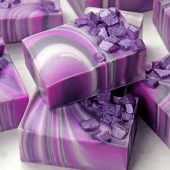 I love to cook with it, and now can’t wait to make soap with it! 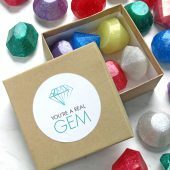 Sounds absolutely fabulous Heather, I can’t wait to see how they turn out! You should share pictures of them on our Facebook page when you get them done! Question is, if I want to double this batch, do i double everything including the Lye? This looks like a great recipe! I love pumpkin. Just wondering what the shortest amount of cure time could be for this recipe? That is a fantastic question. So, old school rules is 4 weeks minimum. New school soaping rules are 2ish weeks and you wait longer to let the water evaporate out and make a harder bar. 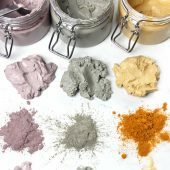 Kevin Dunn from Caveman Chemistry proved that the bulk of the saponification happens in the first 24 hours and so what you’re really waiting for over 4-6 weeks is the hardening. If it were me, I’d definitely wait 4 weeks so that soap lasts a long time but it’s technically ‘safe’ to use more quickly than 4 weeks. 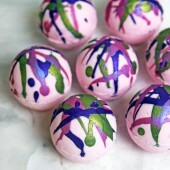 I used Goat in darker half of the soap and water in the lighter half and it worked very well. The soap was very soft at unmolding and cutting, but is beautiful! Anne-Marie, Thanks for the tip of putting the puree in at trace. 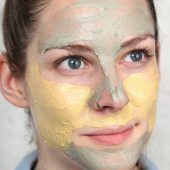 I made my own puree from our pumpkins and was wondering about moldy issues. of course I did not use pumpkin spice for my pumpkin puree soap and it came out so dark it is almost black, and I am just a big fan of orange. And it’s a little soft. So sad. 🙁 I used the same basic recipe except I used half goat milk instead of h2o. Not a pretty soap, but damn smelly good! Time will tell if we introduce it. 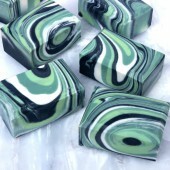 Great looking soap, AM! But short story, yes, you can replace the water with milk BUT the soap smells badly and is prone to superheating. The soap will smell better after a couple weeks but just remember that when you’re first smelling it. Oooh, that is exciting! 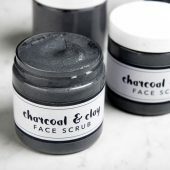 I can’t wait for the e-book to be released =) Thank you for the tips, I will keep in mind about the smell when I try it. I can’t wait to try this recipe! I love idea of using other purees too. Thank You Anne-Marie! 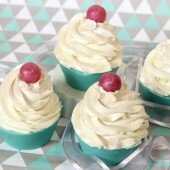 This is a great recipe, I just love it! 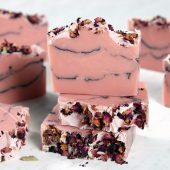 I’m wondering if I can use “purees” as well for other cp soap recipes, for example canned cranberry puree, for making a batch of soap using the bramble berry’s Cranberry fig FO? Yes you can. Just follow the same instructions above! Or you can add it directly to the lye water to kill, kill, kill anything that might be tempted to grow germs. If you’re going to be selling these and they’ll sit on store shelves, that’s the method I’d do with a puree just to be on the safe side. Thanks so much for your answer Anne Marie! The cranberry puree that I’ll try to use is a canned one, and the ingredients listed are these: cranberries, high fructose corn syrup and water. Is there any problem with those, or do you think that some of these might grow germs? 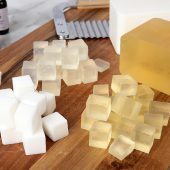 Sugar is great at growing mold so I’d toss the puree into the lye water mixture and then add that to the soap to ensure the lye kills everything that could grow mold. It's not that I don't believe that vinegar helps with rinsing off lye, it's just that cold water works equally well in my experience so I recommend cold water first (since most people are more apt to rush to the tap than to the cupboard when they get a burn) but definitely, vinegar would work equally well (or better for really serious spills/burns). I sense that you don't believe that vinegar helps with lye burns. From the chemistry point of view vinegar's chemical name is acetic acid, which is a very weak acid. Now NaOH/ sodium hydroxide/ lye is basic in nature-a very strong base actually. 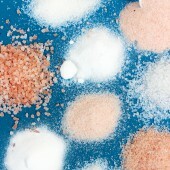 Therefore acid plus base forms salt and water. 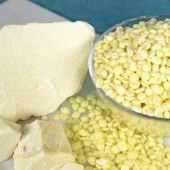 The vinegar neutralises the base thus removing its corrosive nature. amazing! very excited to get started! Lisa, Awww, thanks! I hope that your first CP batch is a total success. Joanne, If you hit "Cntrl + P", it should bring up a print screen so you can print the tutorial to your printer. If that doesn't work, just let me know your email and I'll forward the recipe to you via email for you to print out. I'm having trouble printing the tutorial for the Pumpkin Soap. What am I doing wrong? Wheeeee! 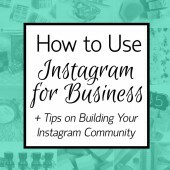 I am so excited that you guys all really like this project and tutorial. It makes me feel really gratified. Yay! Stephanie, Totally, CP soap in flex loaf molds is fine. You might have to freeze the soap to get it out smoothly though so keep that in mind. 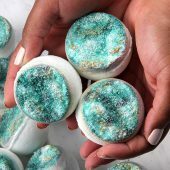 Micas are persnickity in soap. Some work great. Others don't. 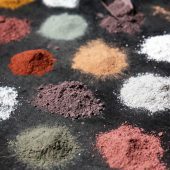 Some pinks and purples aren't stable so do small test batches and if they are stable, they require a good amount to make a serious dent in the color because they're so light to start with. 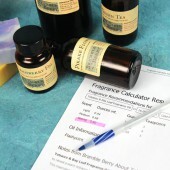 Denny1600, Cinnamon fragrances can definitely accelerate trace. 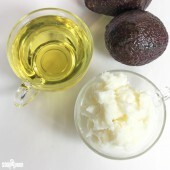 You can retard the trace a bit by utilizing 100% of the water, heating up the fragrance a bit and including an extra couple ounces of superfatting oil mixed in with the fragrance to help slow everything down. It doesn't work miracles but it helps. Carrie, I'm so glad that the tutorial was helpful. Look for more fun CP tutorials in the future. Thanks for all your wonderful recipes and your always-helpful assitance, Anne-Marie! Thanks for sharing! I saw this on Twitter and asked about the recipe. I couldn't wait, so gave it a try on my own last weekend. I didn't think about using colorants, so just used "plain" soap on its own mixed with a pumpkin batch. I think that made the pumpkin batch too "pumpkin-y" and not soapy enough. I added some cinnamon spice fragrance oil and that made things trace quickly, so I plopped things into my molds and tried to swirl as best I could. It was my first attempt at swirling. 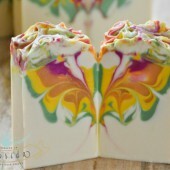 The soap was a bit thick for me to try to swirl very much, I think. 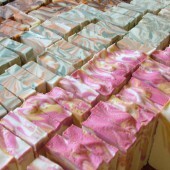 Anyway, the soaps came out looking OK, but I may try it again this weekend. Off to add pumpkin to the shopping list. Waaaaiiiit a minute! Cold Process in a flex mold….without lining it? You can do that? I've never tried it because I assumed it would stick like concrete I would have to hurl myself out the window in frustration. I haven't had much luck with mica's, the two times I've tried it the color just disappeared (though I should come clean that I used light pink and purple shimmer – not sure if that made a difference). I read your last post and I'm wondering …. am I doing something wrong? Maybe not enough? Love you! Just when I think I've got an angle, you make me rethink it. It looks 'nummy and luxurious'!! 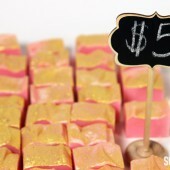 Like pumpkin fudge….love it. I'm so glad the rest of you are liking the tutorial. 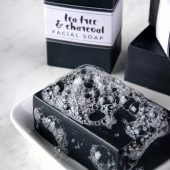 The soap is really 'nummy and luxurious. 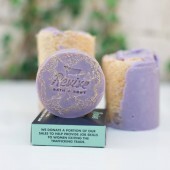 It has good lather and a nice feel to it in the shower. I saw the photo on Twitter and also was wondering about the recipe. Thanks so much. And I even have some Copper Sparkle mica at home! Yay! Thank you for the post. 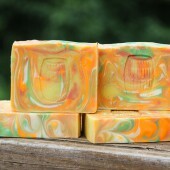 When I saw the soap pictures for this one on Twitter I was wondering what you used for the pumpkin color. Now I know. 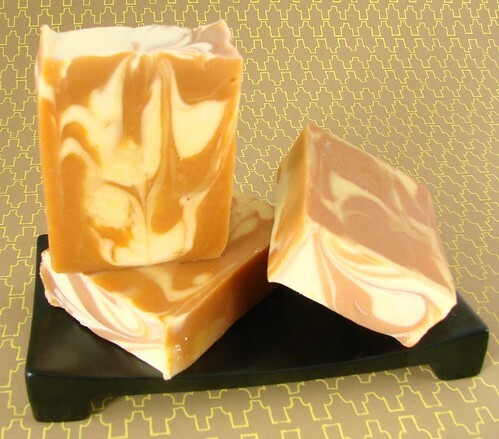 I have made a pumpkin soap before but my colors were definitely lacking compared to this. I look forward to making a new batch. Being new to cold process, I can't thank you enough for another great recipe! 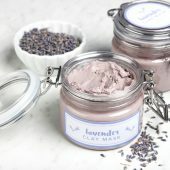 I was just setting up to make a batch of lavender cp and now I am wondering if I possibly have any pumpkin in the house! just wish I had a little more time to get it made before big event next week. Sure am going to make it first opportunity I have! You put alot ALOT of effort into this post and we certainly do really appreciate it. Glad to know that the copper sparkle will not morth! So glad I have some! Meanwhile, I have been splitting hairs over packaging. Just bought from USBox.com #100 8x8x4 chocolate brown boxes, 10 pounds of shreds in french vanilla and gold, hundreds of yards of ribbon, and had to withhold myself from getting the most lovely metallic pouches. Even though I could not find Cassia green :), (that was a minimum purchase of #500) I do believe that my labels will complement the chocolate….. It was nerve wracking making that purchase. Anybody else ever feel that way? Honestly my heart is racing and I feel weak at the knees….